How to remove your Copied Content from other website/blog by DMCA complaint ? Got your traffic decreased !! You may be wondering what must be the cause! ?? Here is the cause for the decreasing of your valuable traffic.Some one might have copied your article and your traffic goes to that website. By this your traffic will shifted to that plagiarized site of your content by search engine.Since the SEO prefers only to the new updated content so it will not display your link in the search engine instead the copied site content link will be displayed before your link. These things are done by the Naive bloggers who don't know much about the efforts in writing articles and simple ethics of blogging.They just know Ctrl + c and Ctrl + v .
So here are some steps to take down the plagiarized site or Removal of the copied content from that site/blog. How to request for removal of copied content from another blog/website/other to Google ? 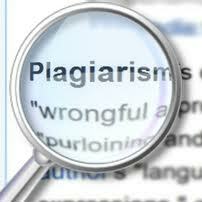 We have a service in Google which offers bloggers to request for the removal of the copied content. Note: Request only if it your content and your authorized copyright holder or else you would be dealing with problem. Don't make false claims,think when you apply for it. Requirements for applying to this request : Authorized person should have a account in Google it's mandatory. Google offers few options from which it can remove your copy righted content if you are an authorized holder. Then apply for the specific request you want to claim and be careful when selecting this option. You will be asked for the confirmation of request you want to make. If you are not confident there is no question of requesting. Majorly copyright holders will select second option. Note : Don't make the request unless you are an Authorized Copyright holder of the respective infringed content. Don't make False Claims and get yourself into problems. After reading all the instructions on the page.Click for the this link option available. This will take you to the further process. Enter your blog/website details in this above page and also your blog name and email. So that they can forward this request. If you have multiple links which have been copied don't worry we have a option for additional url's. You can put multiple url's requests also. After entering the infringed url locations then you will find this above page as shown in the picture. You need to check the two checkbox's for further process. After doing all the above steps Google will take few days to take down the copied content article. After successful completion of request you will get a confirmation message like below. By this you now applied a DMCA complaint on the plagiarized website. It takes few days for removal of that after proper inquiry by Google. Hope this article will help your content safe and not to be duplicated by others.If you like this article or have any questions comment down here. Good insights and tips. Thanks for sharing. Google usually takes few days i.e 1 week. It inquires about your complaint then acts on it.So be patient my friend. I am Glad that you found my article useful.